There are so many products and services available to help individuals live as independently as possible. The HouseMate 5S-Z is yet another example of assistive technology that helps people gain independence. 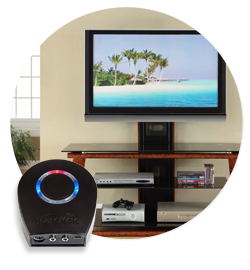 HouseMate 5S-Z is a combined hardware/app solution that allows a switch user to fully control his or her iOS or Android device. It also enables them to control other appliances in their home or work environment. Users can operate HouseMate with its built-in switch, or they can connect up to five external switches. Or for wheelchair joystick users: interface cables are available for popular wheelchair controls. Click here to learn more about the HouseMate 5S-Z.